Your college days are surely some of the most memorable days in your life. The phase where you’re living on a shoestring budget and managing day to day task, does looks endearing from this point. But there were many instances where you managed to carve out a solution, one of them being planned budget friendly trip. Just to reprise the fun you had, here are some of the best budget friendly trips from Delhi every college goer can plan out. Out of the several places surrounding the region, there are few where you can enjoy a great holiday with minimum costs incurred. Let’s take a look at some of the best trips. Traveling to the financial capital of India might seem a like a costly affair, but fret not, as there are several cheap ways to reach and enjoy in the destination. Both being important cities and well connected with air, rail and road, you can find some of the cheap Delhi to Mumbai flights . Even the an overnight train journey wouldn’t cost you more than thousand rupees. And if you own a vehicle, you can pool in with your friends and enjoy and exciting road trip. Upon reaching the destination, you can find some budget hotels and homestays. You can also find cheap rooms via online services like Oyo rooms, Zo rooms, Stayzilla and more. Traveling within the city might not be convenient but is cheaper. You can take a local, which is usually crowded or a hire a cab for a tour of all the attractions. Planning a tour to the historical city of Agra has become conveniently cheaper these days, with the advent of better means of transportation and connectivity. You can find cheap cabs and buses plying on the route regularly. If in a group you can hire a taxi for a whole tour of the city. Dotted with historical monuments, touring within the city isn’t hard as these attractions lies in close proximity to one another. You can also find some affordable accommodation options in the city, owing to the fact that Agra’s infrastructure is not that big compared to the metros. Touring through the attractions of Jaipur, you can easily plan out a budget friendly trip. Situated at about 6 hours from the capital, you can find number of affordable transport options running regularly on the route. If you have your vehicle, seating behind the steer isn’t a bad afterall. Though you need to plan it out with a group. Also, Jaipur has some really good budget accommodation options to spend a wonderful time in the city. 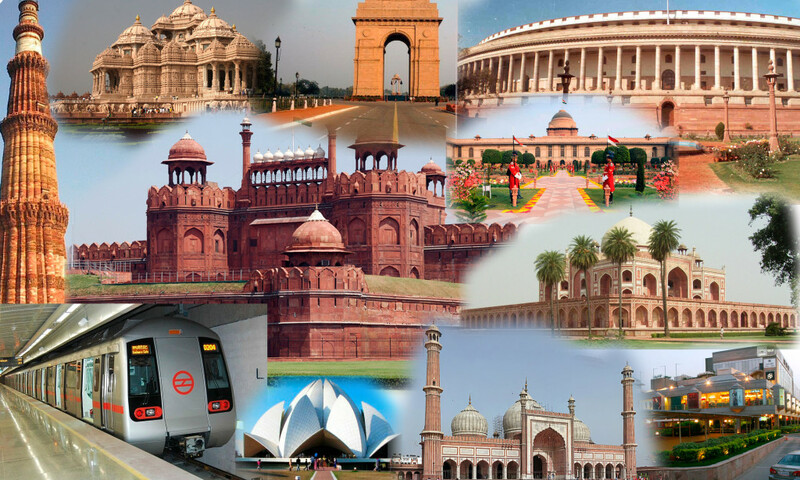 Touring within the city isn’t that difficult, as just like Agra the tourists attractions are located in close proximity. One of the best ways for sightseeing is to take a Jaipur tourism bus, which works just like Delhi’s Ho-Ho bus and takes you around the best destinations in the city. What’s a college life if you haven’t visited the hills? And Shimla tops the list of hill stations near Delhi. An overnight journey from the capital, you can find cheap buses and Delhi to Shimla flights. Known for its buzzing markets, snow capped hills and affordable yet beautiful resorts, you can spend an exciting time in the hill station.